In lead generation marketing our goal is to get visitors to take action. While we do our best to create compelling campaigns, content, graphics ad landing pages, we never really know how well they will perform until we get real live data. One of the ways to improve results is to continually test for better performing combinations. Here are 3 cool tools to consider for create marketing experiments and measuring your results. Website Optimizer is Google's free testing and optimization tool. While it might be for the slightly more tech savvy user, it can handle sophisticated A/B split testing and multivariate testing scenarios. Below is a video on the solution. 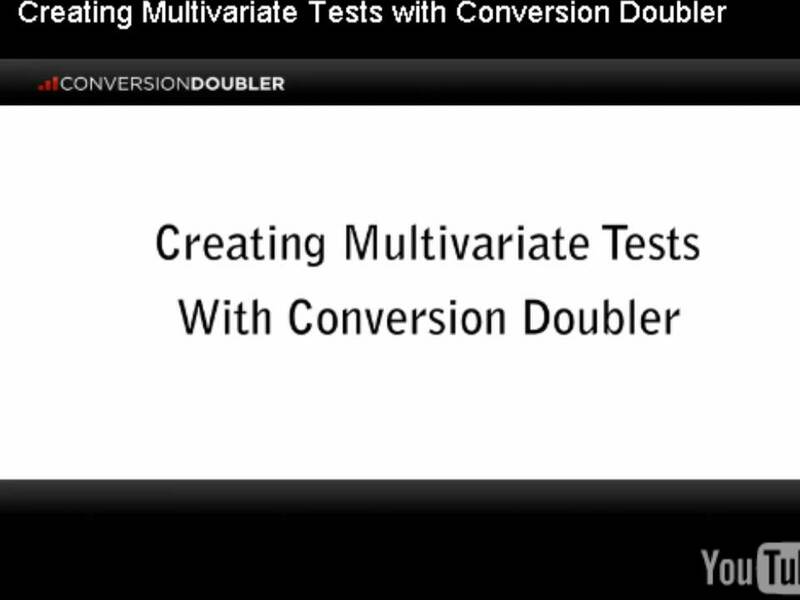 Conversion Doubler is an intriguing tool that we are still testing. Their graphical interface makes it easy to grab sections of your website for testing and easily set up marketing experiments without the need for IT involvement. While Conversion Doubler offers a paid solution, they do have a free solution to get you started. Click the image below for a video introduction. Do you have any cool testing tools or tricks that you can add to the list? If so, please leave your comments.